Adirondack Earth Lore – Earth-based spirituality, woodturning, crafts and life in the Adirondack mountains. Rob has been busy at the lathe creating some extra enchantment for our Etsy shop. These beautiful wands are crafted from Adirondack woods gathered locally, including cherry, maple, oak and red cedar. The cedar wands are a favorite here because their aroma is so lovely. It is reminiscent of the woods and old cedar trunks – incredibly grounding. These wands have a secret that gives each its own unique energy. What is it? We’re not saying yet. The collection is going along with us to the Central New York Pagan Pride Day Festival in Syracuse, New York on Saturday. If you are in the area, come to Long Branch Park in Onondaga County between 9:30 a.m. and 6:30 p.m. for great workshops and performances, and be sure to visit the Adirondack Earth Lore booth. 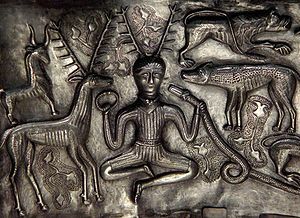 You can see the wands, as well as turned bowls, pens, scent applicators, and elemental altar sets. 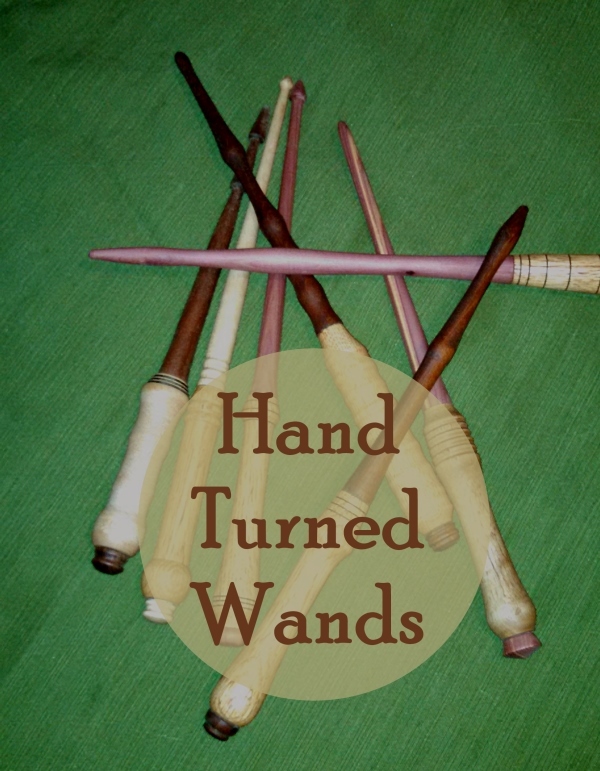 When we get home, we’ll be adding the wands to our Etsy shop. Be sure to check back early next week, because we’ll be revealing the secret in the wands then. 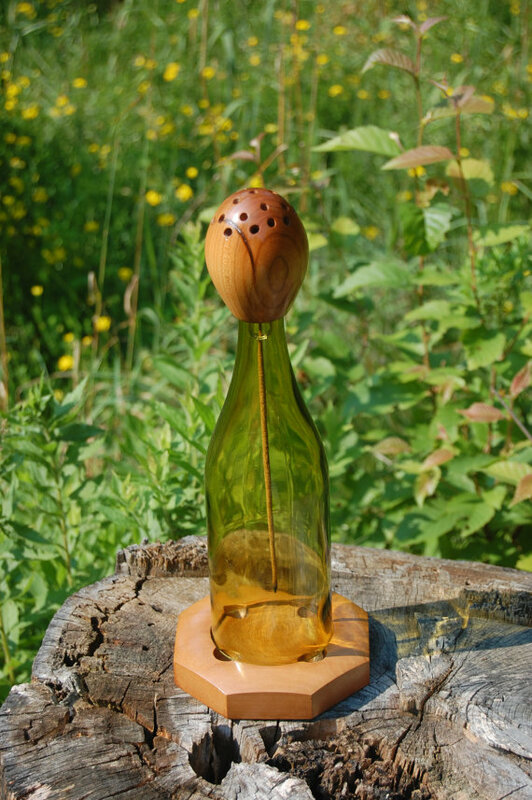 You won’t see wine bottle incense burners like this anywhere else. 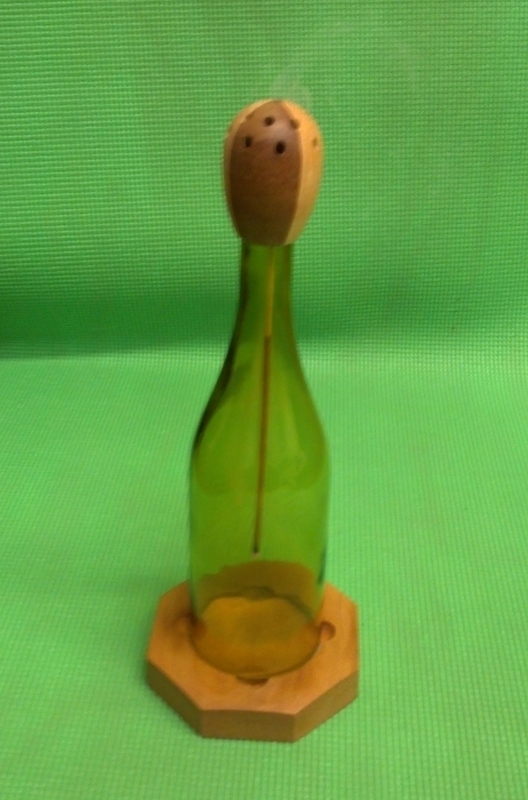 There are many wine bottle incense burners out there, but ours are unique! Rob removes the bottom from a wine bottle and fits it with a wood bottom plate and a hand-turned top to make these unique incense burners. The removable bottom plate makes it easy to clean out the ash. The top knob has a wire spiral to hold an incense stick and a number of holes which release the smoke in a fascinating array of curls. It’s hard not to watch it! Our wine bottle incense burners are easy to clean – just put the glass bottle in the dishwasher – so it won’t darken with use. 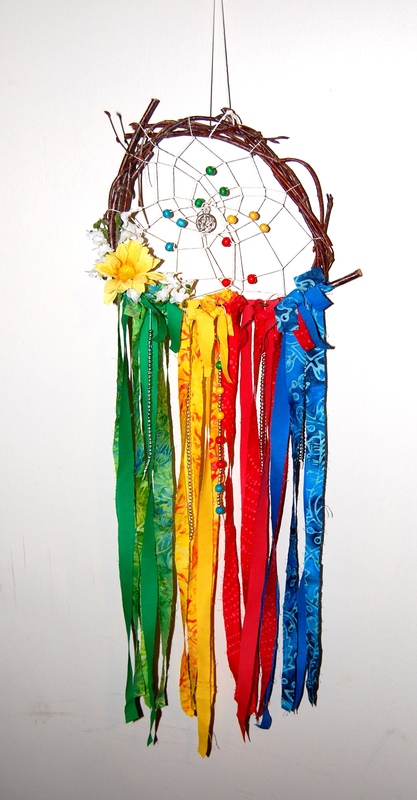 Find this listing in our Etsy shop! See the shine? It picks up light just like a disco ball. 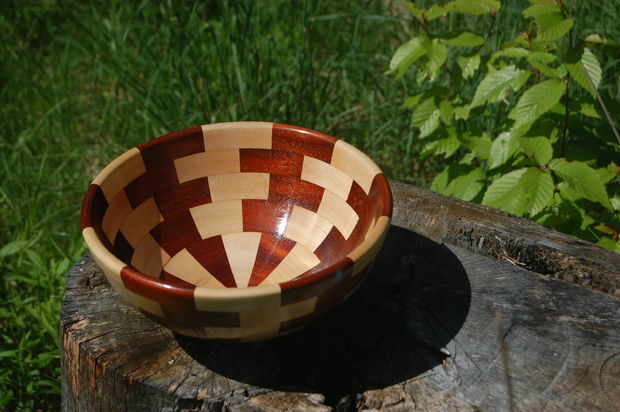 Rob created this beautiful bowl from an iridescent piece of maple he salvaged. Each of the four rings is made of twelve individually cut and glued segments. The project is then hand-turned into the bowl’s beautiful tulip shape. 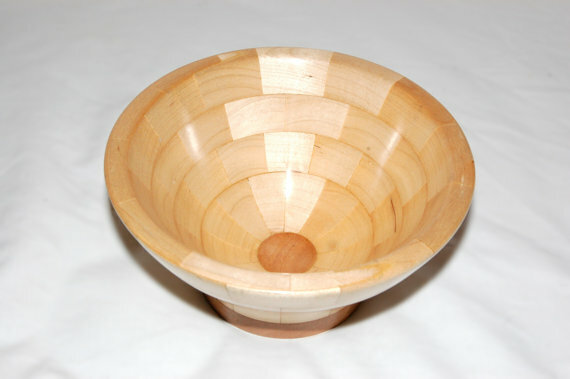 The bowl is finished with food-safe polyurethane and polished to bring out the wood’s natural sparkle. It would be a lovely bowl for fresh fruit or salad and would look stunning on your table. It would make a great wedding or anniversary gift. Head over to our Etsy shop to see this bowl.